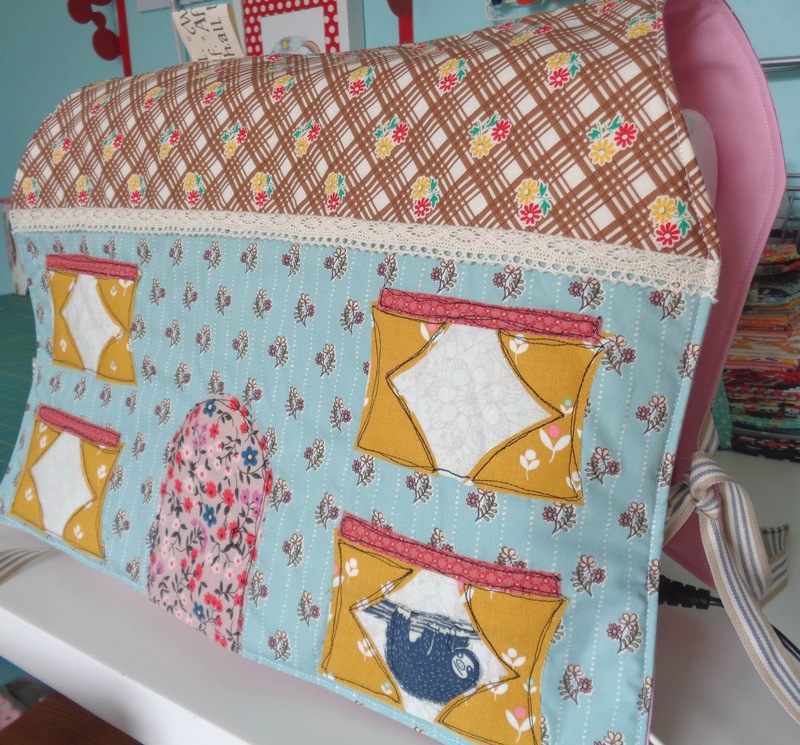 I have had my sewing machine for 3 or 4 years and i have never covered it or had a cover for it, i know! tut, tut! so when kerri's book lovely little patchwork arrived i was soo excited! 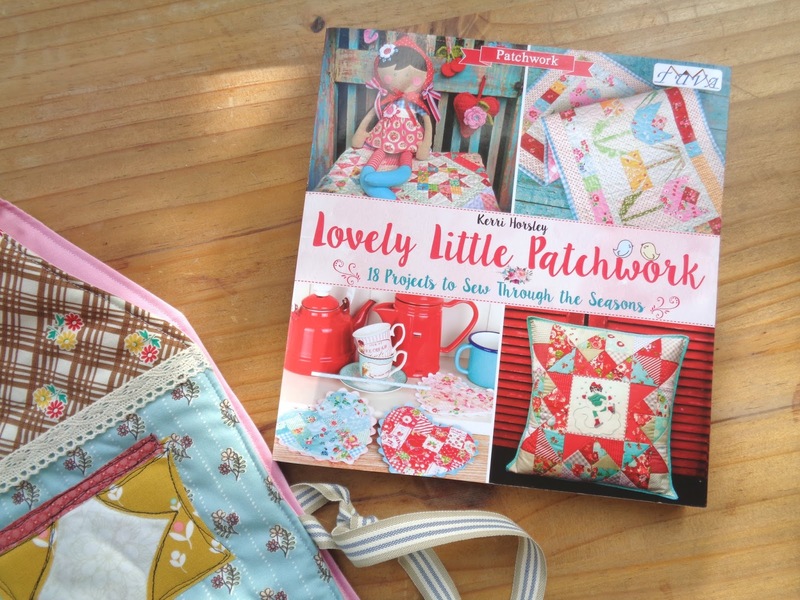 and love all the projects in it, but one project jumped out at me immediately! it was the adorable sewing machine cover that looks like a house! like really how cute is that?! 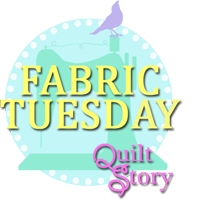 i set about choosing my fabrics and wanted a vintage-y feel to my house! 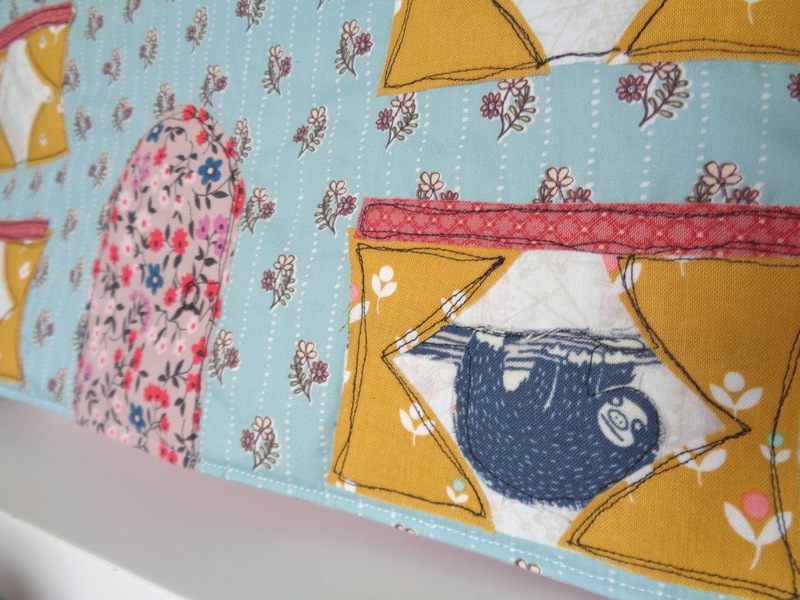 the blue is from fleet and flourish and the brown (which i think looks like a thatched roof) is a 1930's repro fabric! it is a really good and easy to follow pattern! and i had such fun making it. also i got to do some raw edge applique which i haven't done in ages! 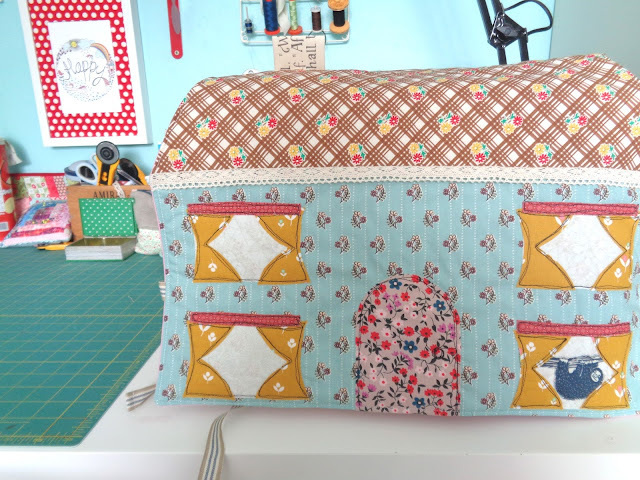 i really love my little sewing machine house, it is lined with a solid pink and i added some ribbon from my ribbon drawer, to tie it on the sides. I love your little machine house. So cute! Thanks for sharing with TGIFF! That's really cute! 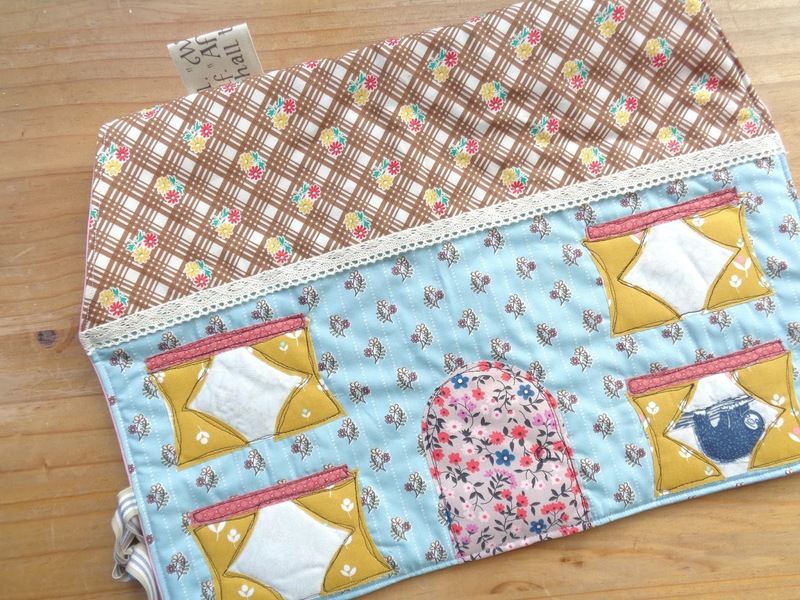 I don't cover mine either, but maybe I should try a fun pattern like this! Great tips. This is very useful, Thanks for sharing. A lot of the portable sewing machines come with a carrying case, and you will want to get one especially if you are using your machine for groups or classes. A carrying case is a good storage for your machines when you are not using it. 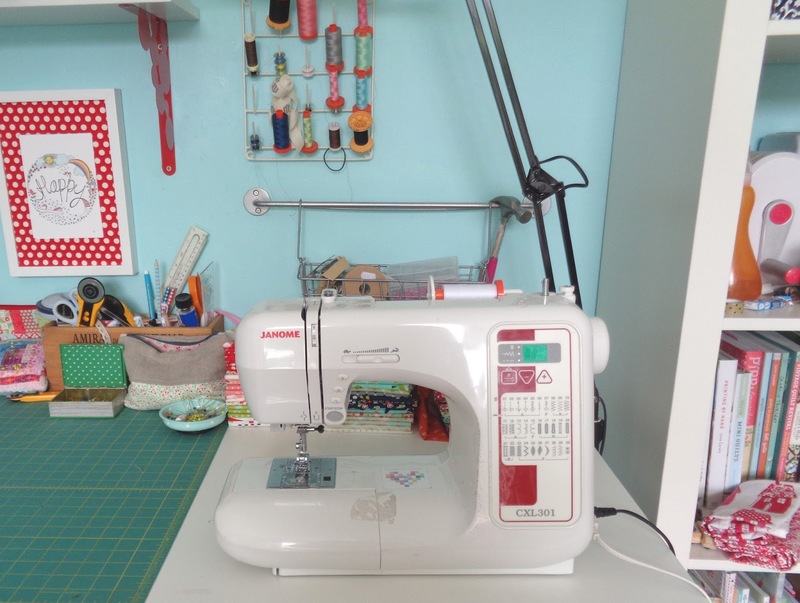 Planning a sewing room is an evolving procedure. A cornerstone of that planning should be a good understanding of the various functions of the area and how the the materials in the space are stored.